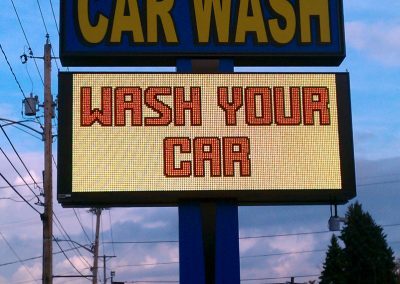 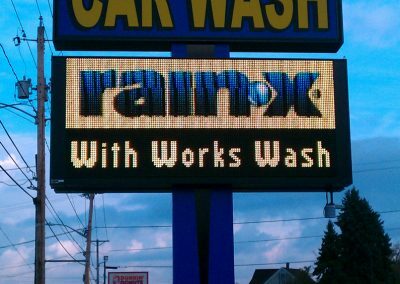 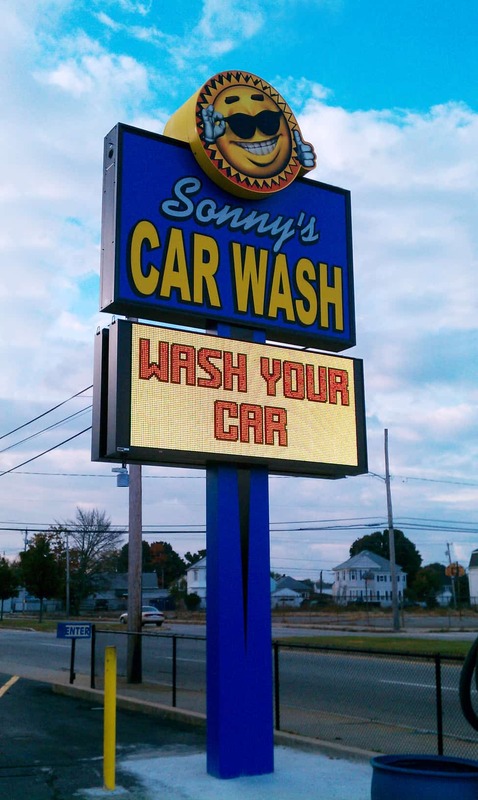 Poyant designed, fabricated and installed this state-of-the-art pylon sign with a 19mm, full color electronic message center for Sonny’s Car Wash in Fall River. 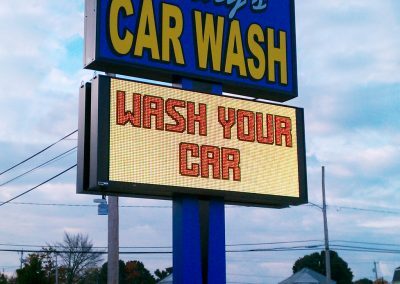 The ability to advertise his full range of services has been a big improvement for owner, Steve McDonald. 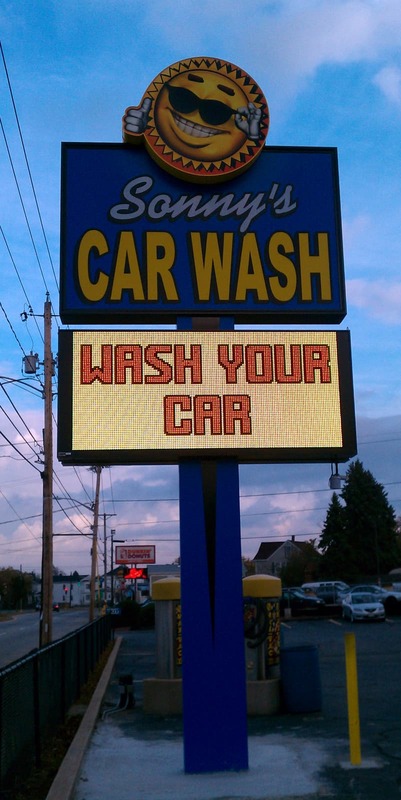 The sign will make an impact on customers for years to come.